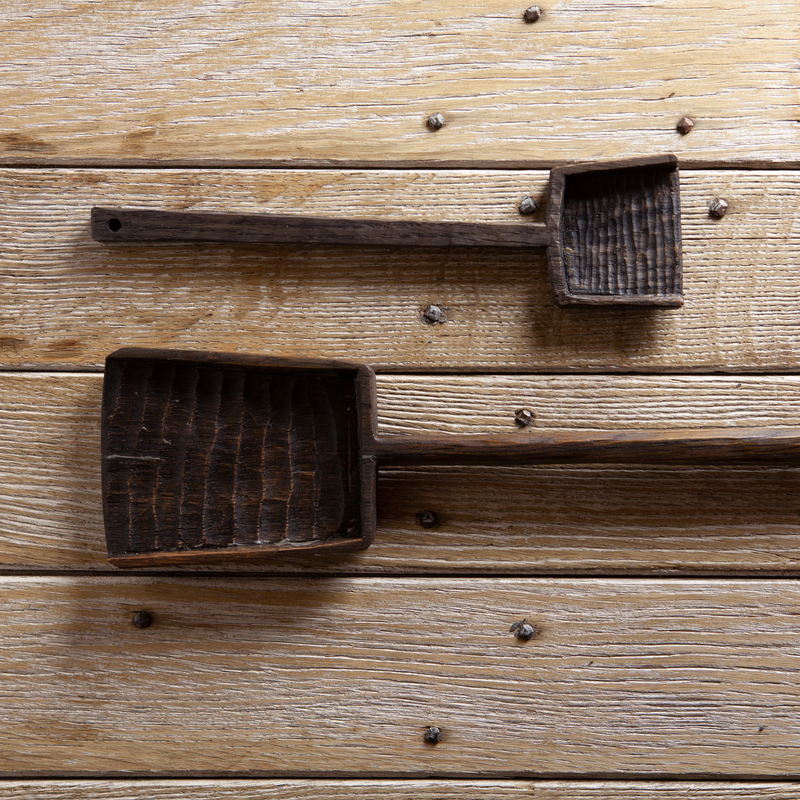 Two wooden scoops inspired by the tools used in the slate quarry’s blacksmiths shop. 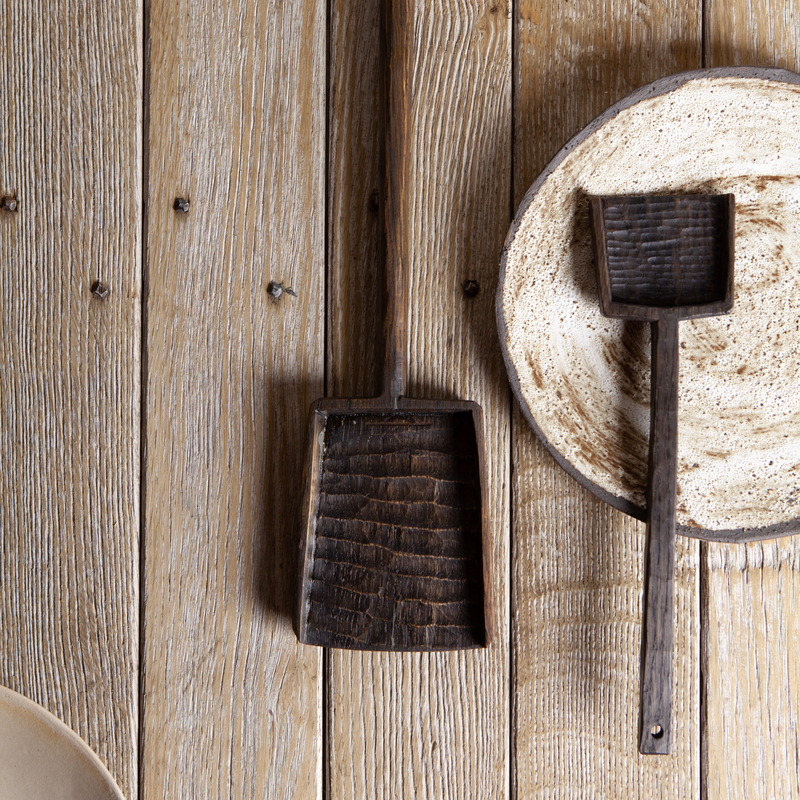 Naturally darked mine oak. Food safe and finished with natural oils. 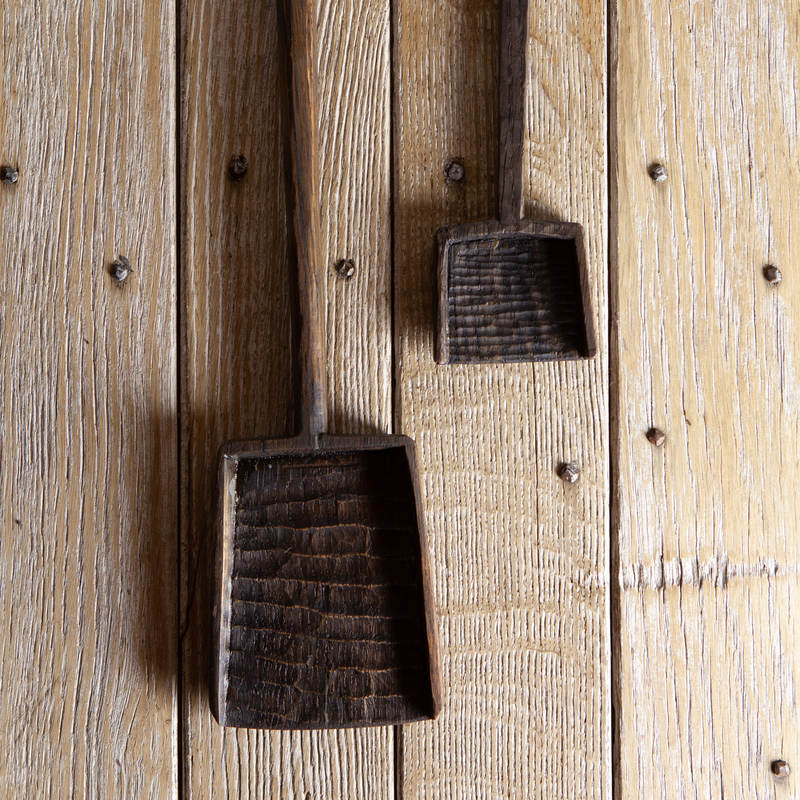 Two oak scoops inspired by the tools used in the slate quarry’s blacksmiths shop.